It’s summertime and we’re certainly feeling fine! Why? 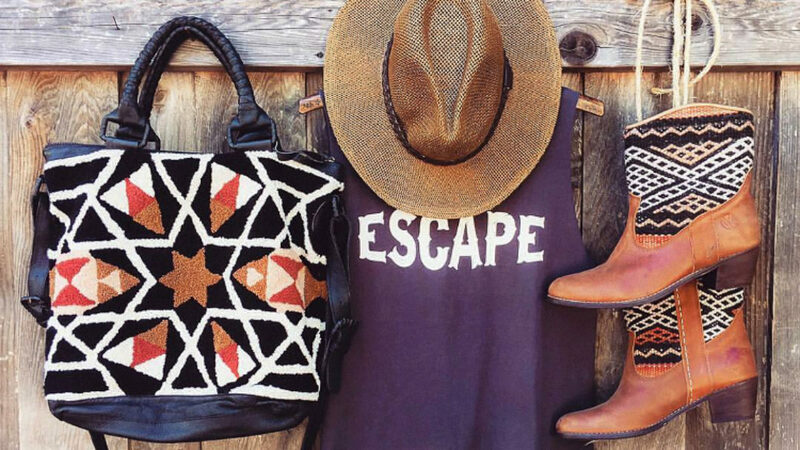 Because we have our beautiful kilim boots on, ready to go on any adventure! 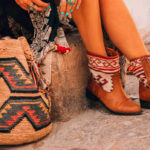 We’re helping you style our boots with a bunch of fun, unique outfits that will keep you cool while the summer is heating up! All looks feature one of our stylish boots like the classic Lee Ann’s or our elegant Inez’s. 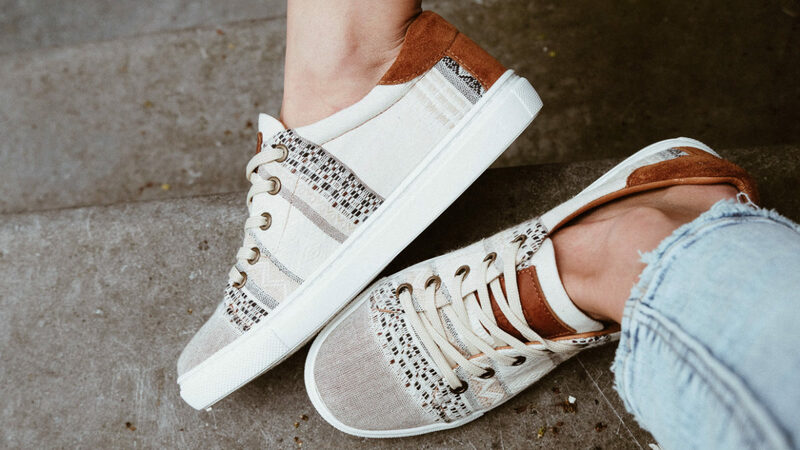 If you need some style inspo for the summer, read on to see our favorite ways to style our vintage, premium, handwoven kilim boots! 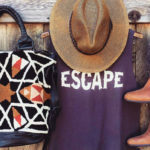 Find yourself needing an escape? Well, pack your bags and hit the road in your super stylish Inez boots! 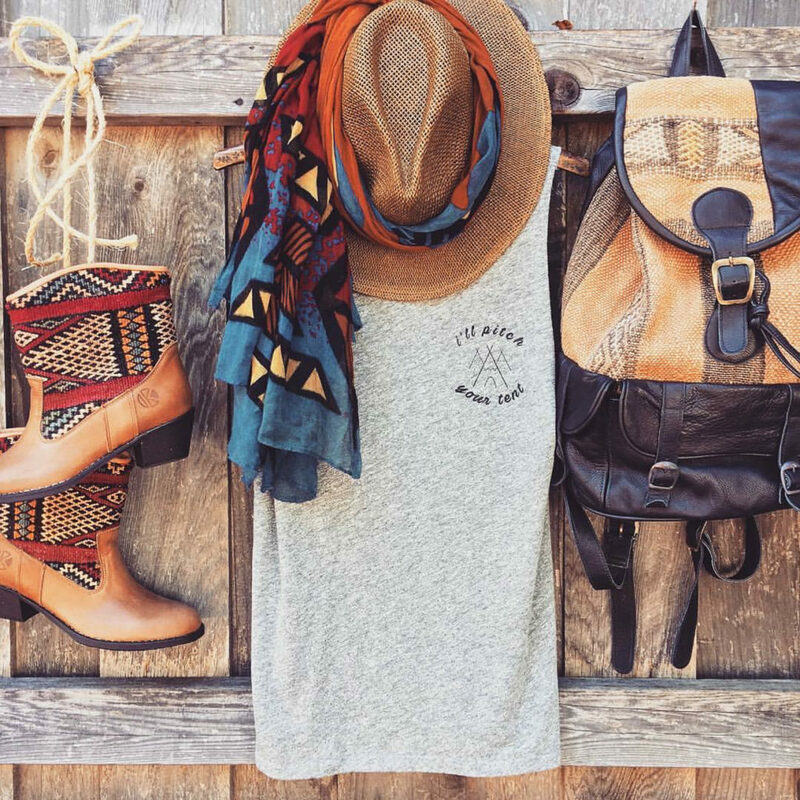 This outfit just begs to be taken on an adventure; one that involves lots of sun and lots of space! The open road calls your name as your pair your boots with a heather grey graphic tee that has you itching for a road trip. Pair with some deconstructed, cheeky denim shorts and a cowboy hat, you’ll beat the heat and look super cool in this outfit. 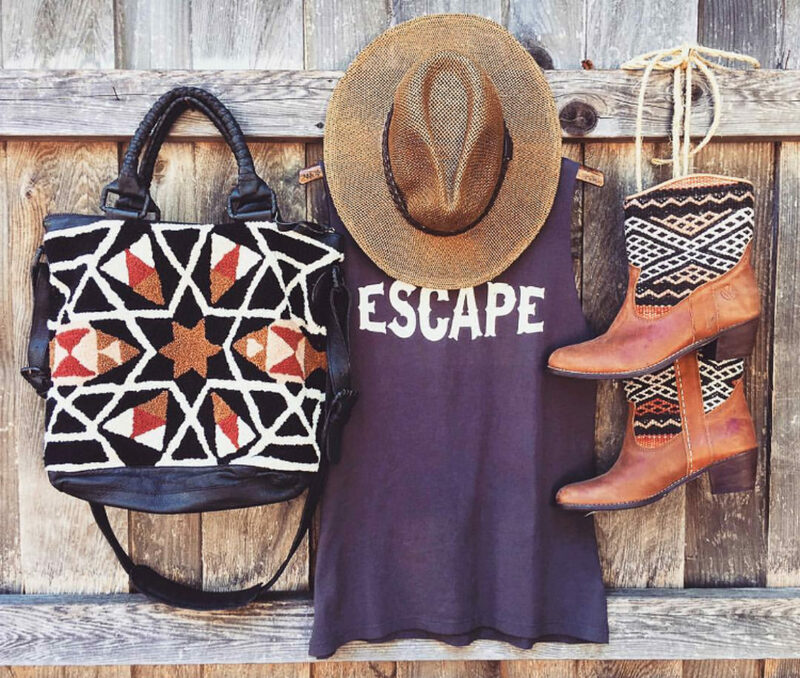 A large patterned bag to fit all your essentials is the last accessory you need to pair this outfit with! 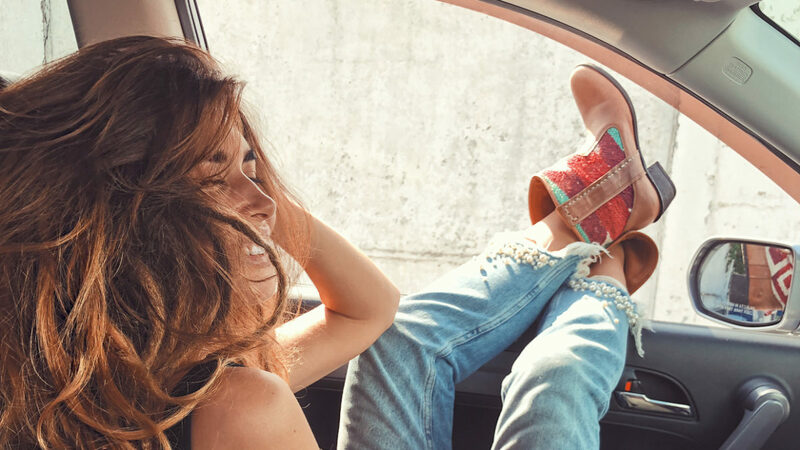 Whether it’s a road trip with friends, or an escape to the desert for that rockin’ music festival, your Inez boots will keep you looking killer all day (and night!) long. Attending your friend’s annual summertime BBQ but wondering what to wear? We got you! Pair your gorgeously unique Lee Ann’s with a simple graphic tee that tells people you mean business (summertime, feeling fine business)! With bleached out, faded cutoffs, your favorites sunnies and a statement chunky necklace, you’re ‘fit is complete. 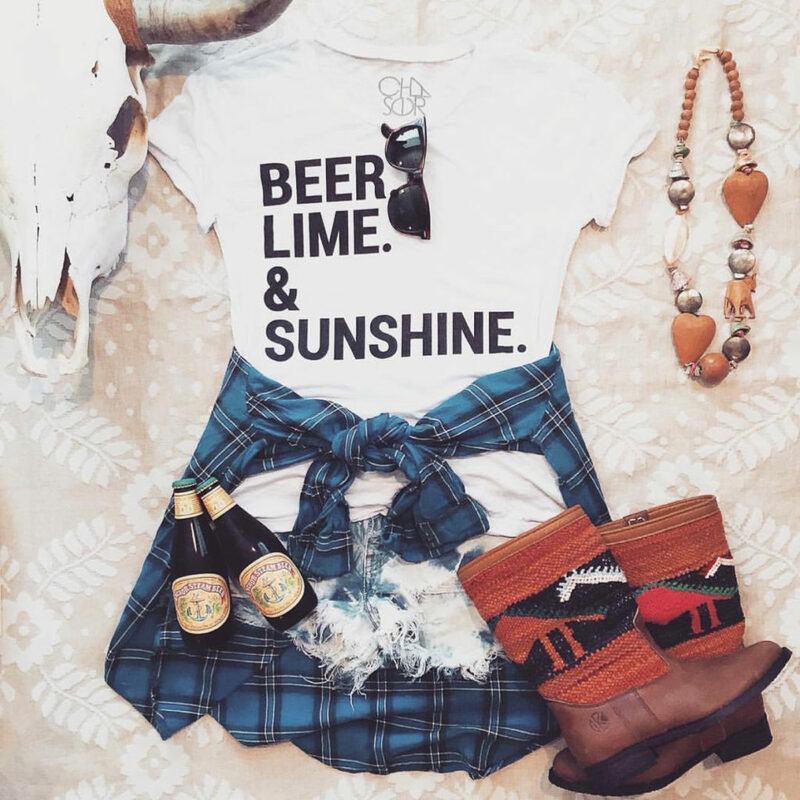 Add a cute plaid shirt around your waist just in case the temps dip and a cold beer in your hand and you’re ready to relax and enjoy some delicious food with friends! Need a quick, stylish outfit for running errands, working in the garden or grabbing a bite to eat with your girlfriends? If that sounds like you, this look will be your summertime staple! 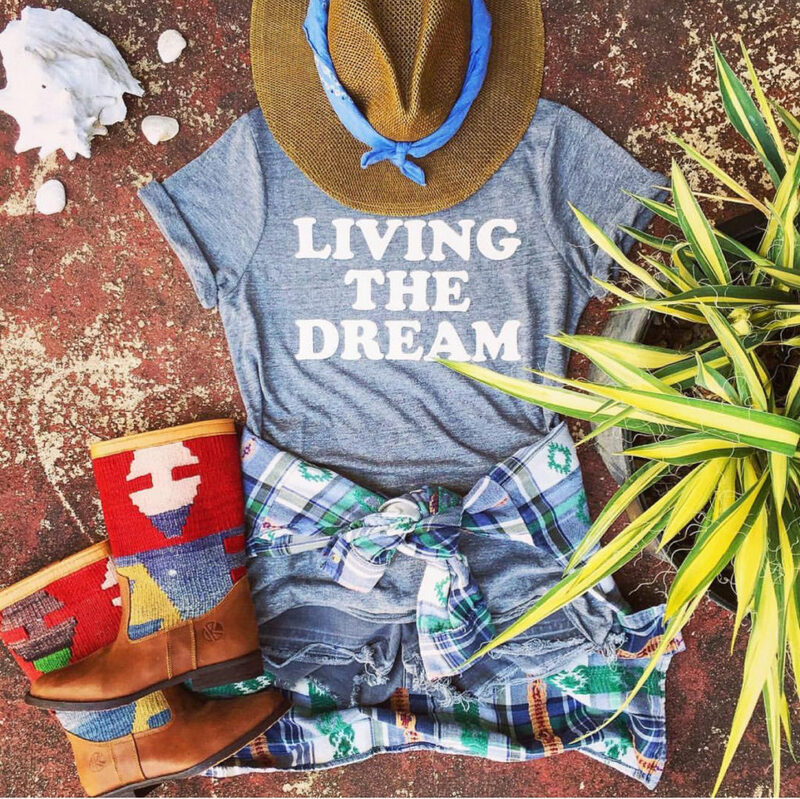 Featuring our super comfy Lee Ann’s in a bright, bold pattern pair these unique boots with a simple graphic tee, cute fedora for style (and sunblock!) and your boyfriends oversized, plaid shirt for a relaxed, living the dream kinda look! Denim shorts and our classic Lee Ann’s make your legs look a mile high so don’t be afraid to hit up happy hour after running errands in this outfit. Swipe on some bright, coral-y orange lipstick and add a ton of stackable rings and some statement post earrings and your relaxed look just escalated to hot nighttime apparel! 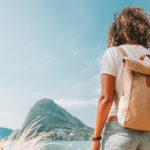 Need a great outfit for a vacation? Or are you attending that all day music festival that EVERYone is talking about? This look will have you look effortlessly cool while you’re lounging around, exploring the streets or rocking out to your favorite band! Here we paired our versatile Lee Ann’s with a heathered tee, flannel shirt, denim shorts and a western style, statement belt! Throw on a funky fedora to finish this look! Heading into the night? Put your cozy flannel on and tie it up to create a cute cropped look. Ditch the hat and you just went from day to night in the blink of an eye! 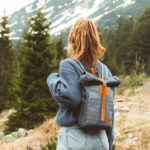 Ready to go on a camping adventure? Pitch your tent and then relax by the lake in style with our cute Inez boots on your feet! 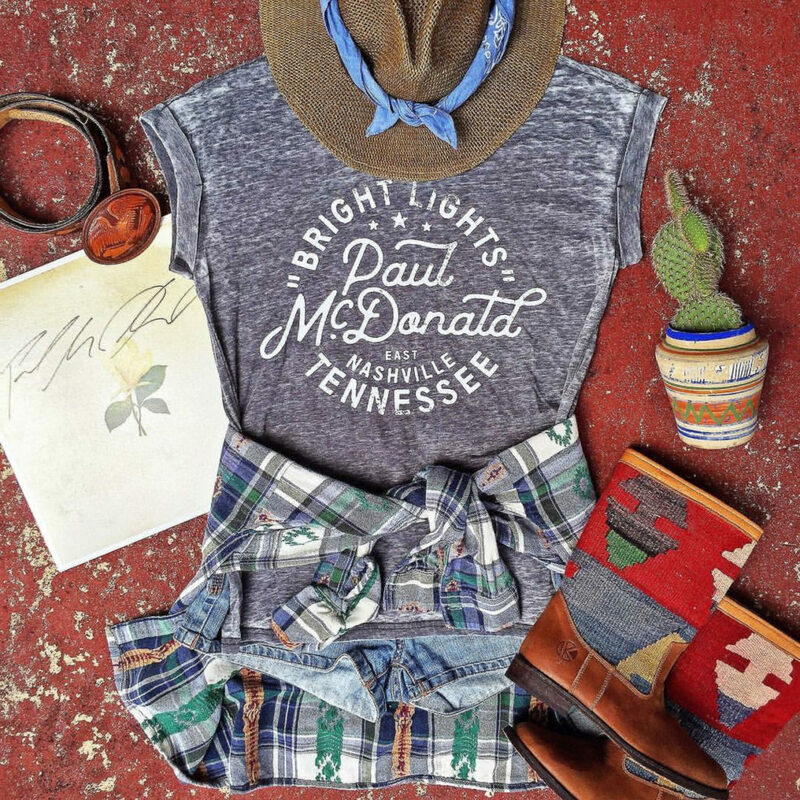 This is the perfect weekend warrior look for a couple days out in the wilderness. A cute hat with a wide brim, paired with a colorful scarf to keep the rays and bugs away. A simple tee and your favorite, comfortable shorts add a chill vibe to this look. Finish it off with a patterned duffle bag to store all the necessities (snacks and sunscreen, duh!) This look is also perfect for running around town vintage shopping or grabbing dinner and drinks with friends at the outside late-night pub. Need a little R&R after you jam-packed weekend of adventures? Try on this outfit to achieve the ultimate self-care Sunday status, while looking super cute! Pop on your favorites, the Lee Ann’s, and add a cute graphic tee for ultimate comfort. A cozy pair of leggings or your favorite white, cheeky shorts keeps this outfit relaxed. Pair with big sunglasses and a cute belt, to take this look out and about. Throw on a cream-colored cardigan in case the temperatures drop, and you’ll seriously be ready for anything! 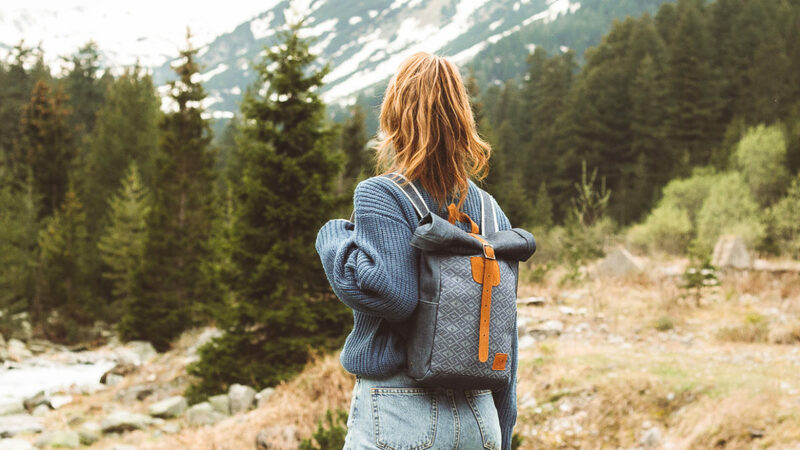 Your favorite backpack is always with you, topping off this super cute, laid back outfit. Feeling hot, hot, hot in this outfit! Our elegant Inez boots will have you looking smoking in this look. A neutral, graphic tee, breezy skirt and a fringy, black purse make this look unstoppable. Throw on a flannel to take this look out to dinner with your husband and everyone will be checking out your style. Throw your hair up in a loose, messy bun, red lips and sparkly dangly earrings to really tie everything together. If you’re enjoying your night in with a cup of tea, trade the skirt for your softest leggings and you’re ready to sip the night away in style. Look Eight: Take a Hike! Who’s ready for a hike through the chilly summer morning air? We are! We paired our Inez boots. 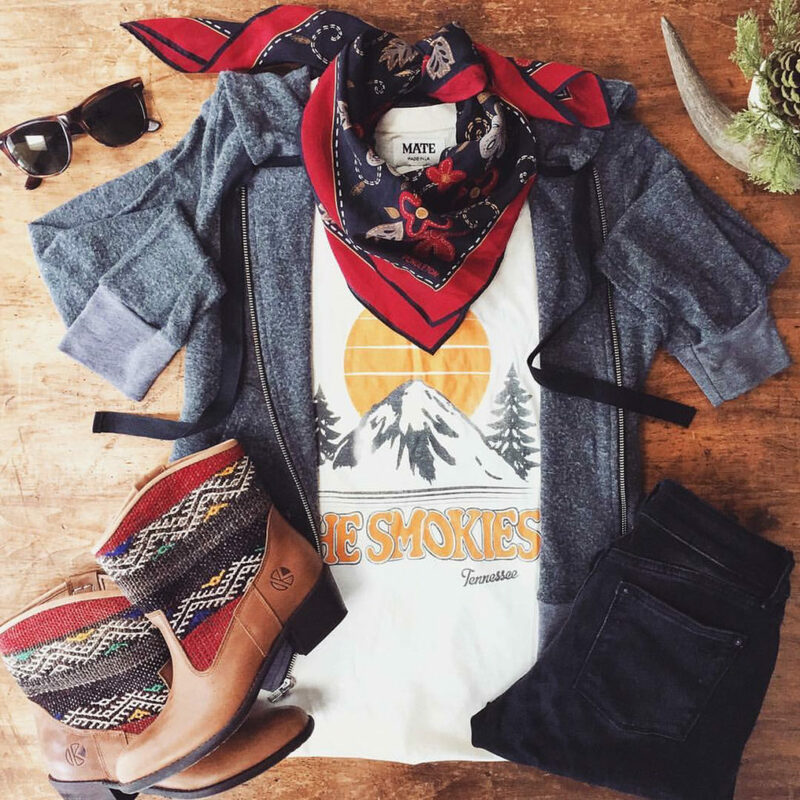 Added a cozy, comfy tee and sweatshirt, our favorite black, skinny jeans and a bandana. To go out for the perfect walk through the woods (there’s a trail, don’t worry)! Jetting off on vacation? Rock this super cute look to the airport to keep yourself comfortable on the plane. When you land, you’re ready for anything! Dreary day but you still want to make the most out of it? 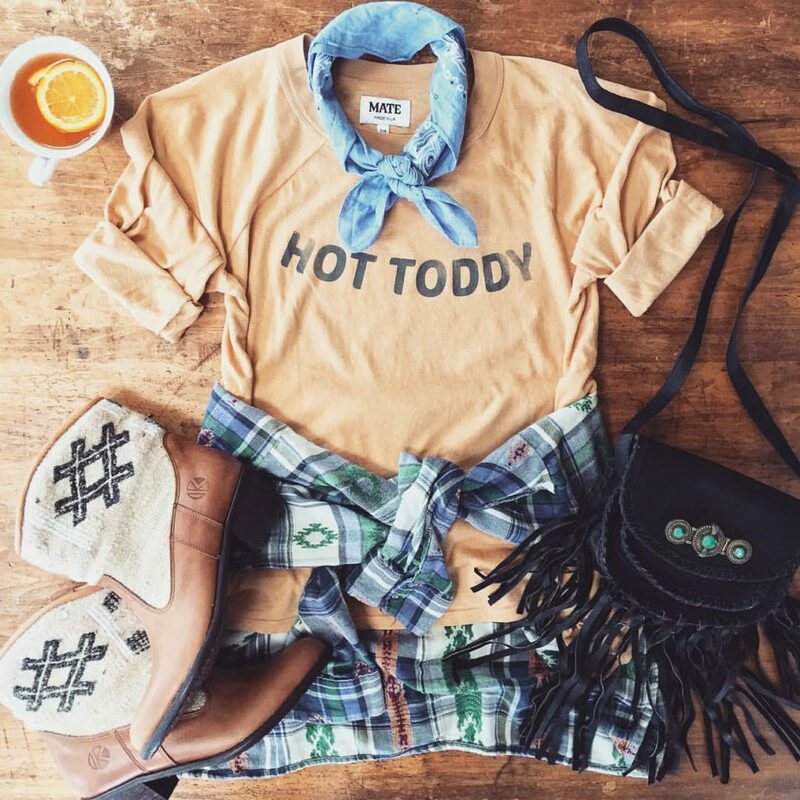 Braid your hair, throw on your Inez boots and rock this outfit out and about to keep your spirits high, even in the summertime rain shower. 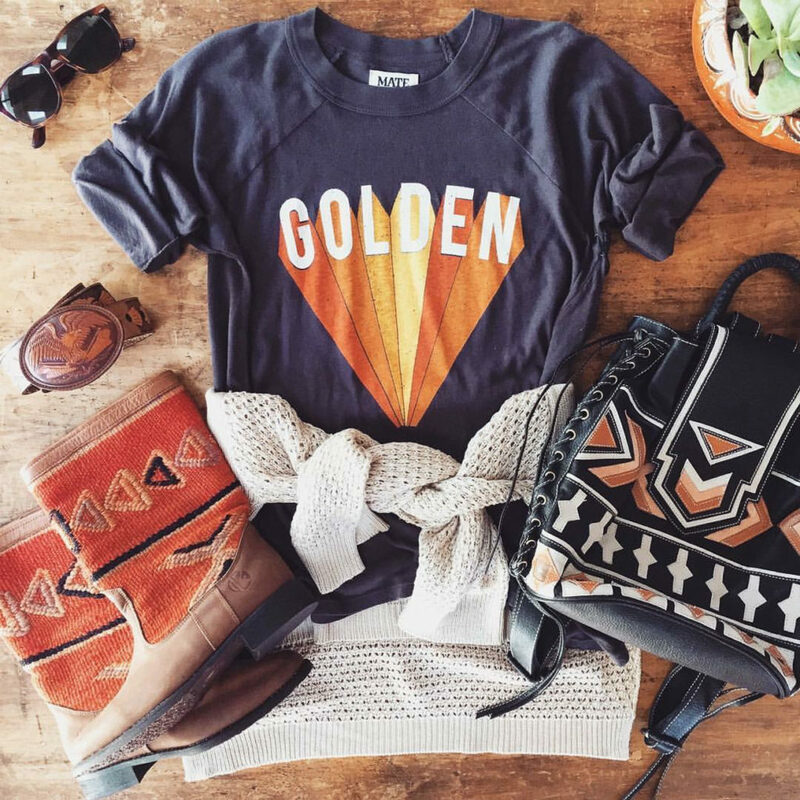 Show us how you style your look with kilim boots by tagging us #thekindreds As we LOVE to see your style.